WICKHAM'S CAY II, Tortola, VI - "We have had quite a lot of destruction for the past couple of months, so our 50th Anniversary celebration has been scaled down but nevertheless very, very important." This is according to President of the Rotary Club of Tortola, Mrs Karia J. Christopher during the club's first official press conference of 2018 held at Ritter House on Wednesday, January 31, 2018. Mrs Christopher stated that the club officially made 50 years on January 5, 2018, while adding that they will have a year long celebration of activities. "We are trying our best to bring some excitement into the community," said the President of Rotary Club of Tortola. This year's 50th anniversary celebration will kick off with a dinner on February 18, 2018 at Charlie's Restaurant on Wickham's Cay II at 5:30 PM. Tickets will be on sale for $50. 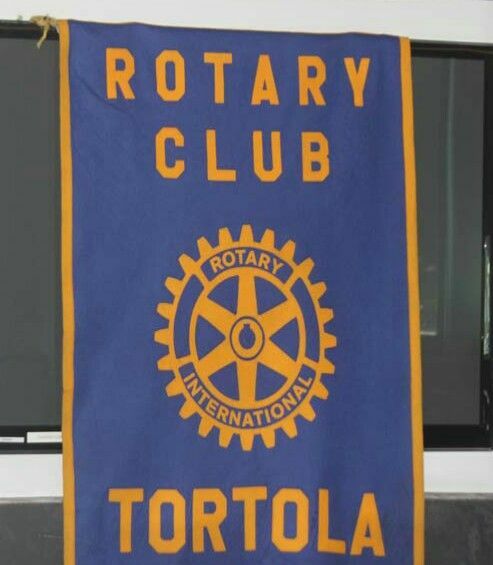 According to Samantha Sears, Chairperson for the event, the Rotary Club of Tortola we will be honouring five Rotarians who have done tremendous work within the organisation and the community within the 50 years. Ms Sears expressed to the media that this year's celebration will move away from the traditional golden theme and incorporate some colour. "We want it to be festive. We do not want to remain with the traditional theme of golden. This is a celebration of life as well," explained the Chairperson. Responding to questions from the media, Karia J. Christopher said that the club plans to incorporate the 50 years through a narrative during the dinner, which will take persons down memory lane. Someone is over bleaching their skin. Bleaching causes cancer, kidney and liver damage, skin sores, peeling skin etc. It also shows that they hate their beautiful brown skin. That shows low self esteem and self hatred. All the book education in the world cannot help a messed up mind.